Teami produces teas, infusers, and other detox products with its headquarters in Florida. 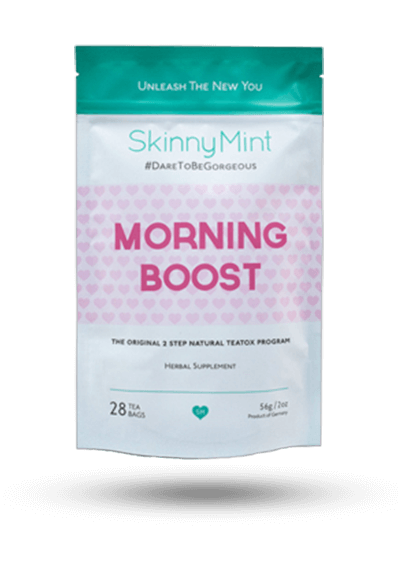 You should drink Teami Skinny tea in the morning, shortly after waking. 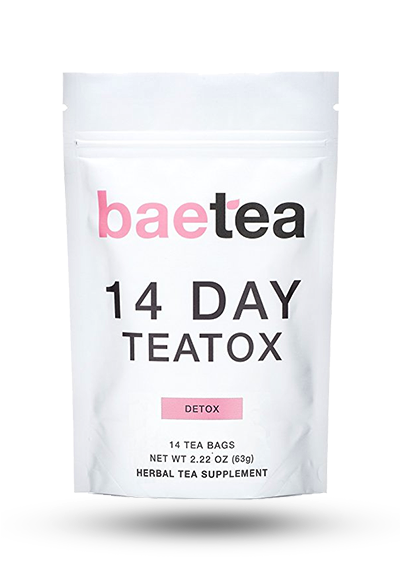 This tea contains plant-based caffeine so it’s suggested that you replace your morning cup of coffee with it. It’s recommended that you don’t drink this tea at night as it may keep you awake. There were mixed reviews on the taste of this tea, which some liked even with nothing in it and others said was rather distasteful or bland. The company suggests that you add honey, nectar or lemon as a natural sweetener if needed. 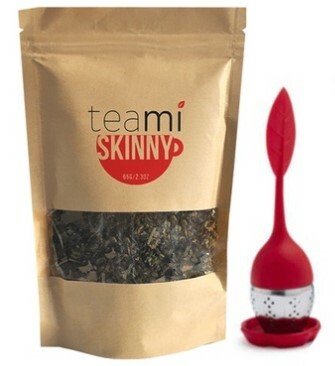 Teami Skinny tea isn’t as easy to use as some others, as you actually need a tea strainer or infuser to drink it. The company says that the strainer isn’t necessary but then you would actually have the leaves of the tea floating in your cup, which we find pretty bizarre and untasty. The instructions are to put 1 teaspoon of the tea in a cup of near-boiling water for 3-5 minutes. 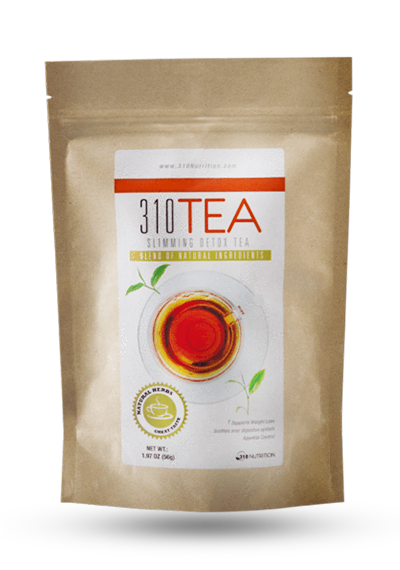 A few other teas, including our top-rated tea, 310 Tea, come in convenient teabags so they are very easy to steep and there is no loose leaf tea in your cup. 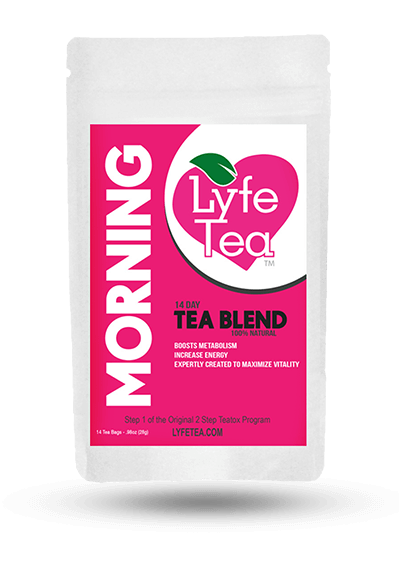 Though this particular Teami tea should not cause any major side effects since there is not a harsh laxative in it, the company still recommends that if you have any medical conditions such as allergies, heart problems, dietary specifications, etc. you should consult your doctor prior to use. Also, the company recommends that you take a break from coffee while using this tea since the tea already contains caffeine, and getting too much caffeine can dehydrate you. Overdoing it on caffeine can also potentially make you jittery and cause headaches and sleeplessness. 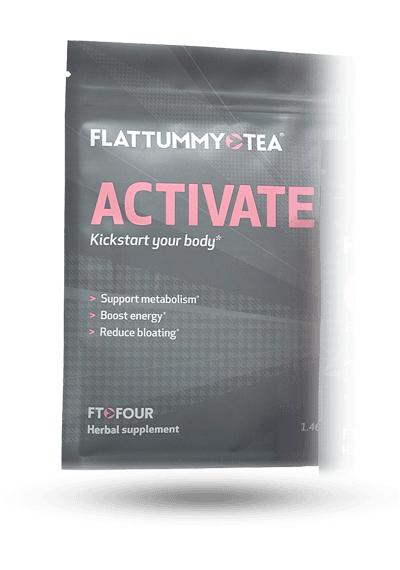 While oolong tea is a heavy hitter in the Teami Skinny formula, it would have been nice to also see green tea, since the best weight loss tea formula in our opinion will have both. 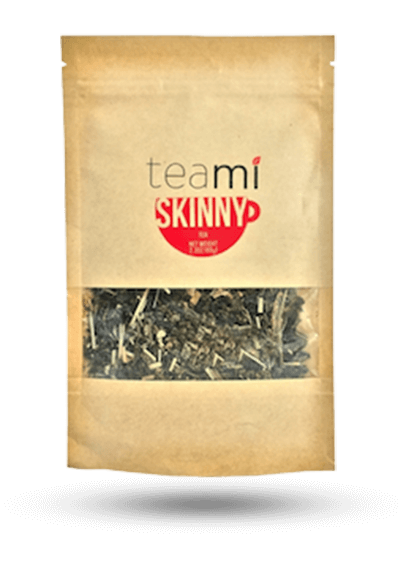 Though there are some studied ingredients in Teami Skinny tea, it’s also worth mentioning that it doesn’t include some others that are proven to be the best for weight loss. In this list are already mentioned green tea as well as rooibos and damiana. 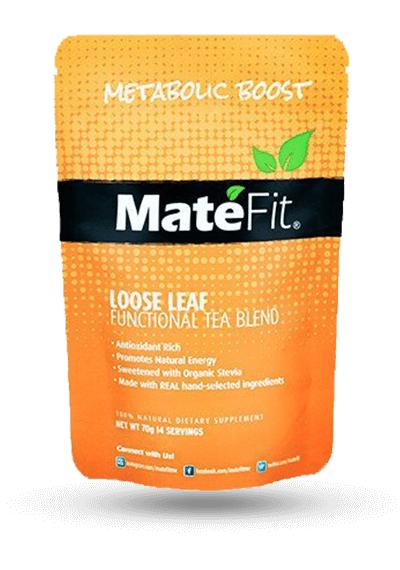 A superstar ingredient that the tea does have is called yerba mate, which has also been named one of the best teas to help you lose weight. 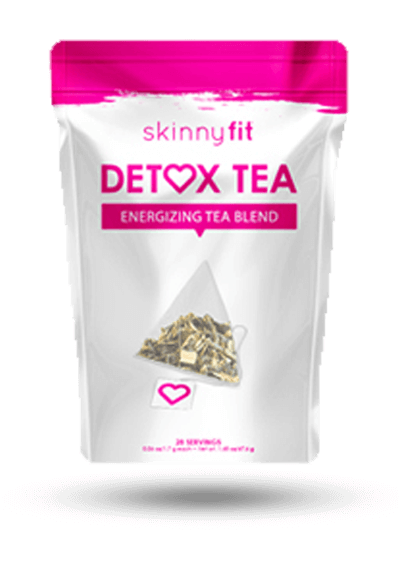 The price of Teami Skinny Tea is good at $1.00 per serving, however, they do not offer a money back guarantee, which is unfortunate. You can only return the tea if it is unopened and in new condition, and Teami will not refund shipping charges or provide a pre-made shipping label. 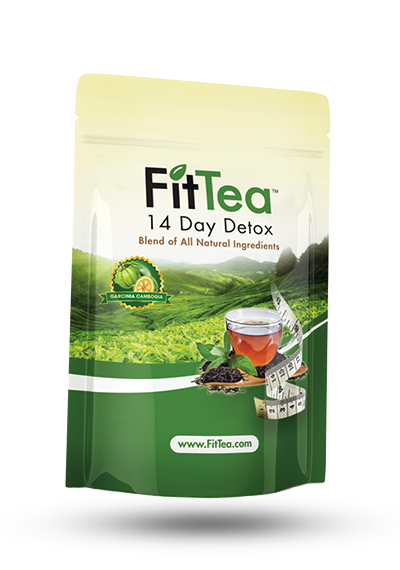 Very few companies in this field provide a money back guarantee on their weight loss teas, but for the stellar few that do, it shows that they stand behind their tea and the potential weight loss effects it may have. 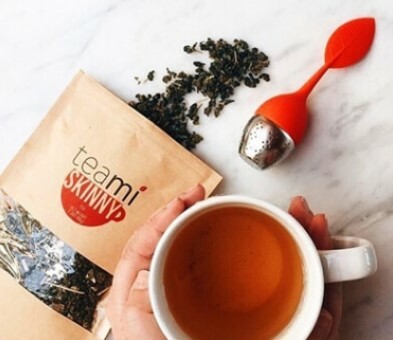 Though Teami Skinny tea does have some promising qualities such as including the ingredients oolong tea and yerba mate, both proven to help with weight loss, it does leave some others out, including green tea, which research shows is one of the best teas to help you drop pounds. While some liked the taste of this tea without having to add anything else into it, it’s not as easy to use as some other options in the field, as it’s in loose leaf form and not in convenient tea bags. And although the price of this product is good, there is no money back guaranteed provided. 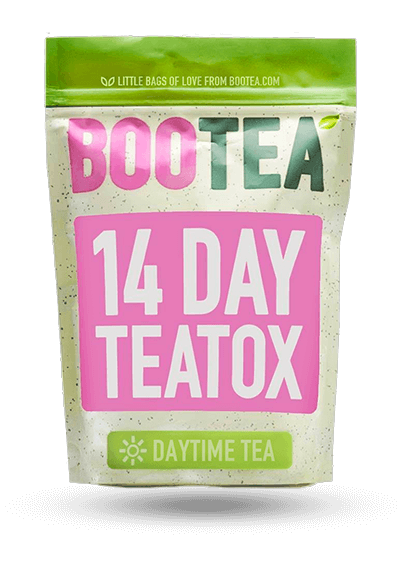 All in all, we think this might be a good weight loss tea choice that you could try, since it doesn’t contain harsh laxatives and users did not report having any major side effects from consuming it. However, there are also better choices available. 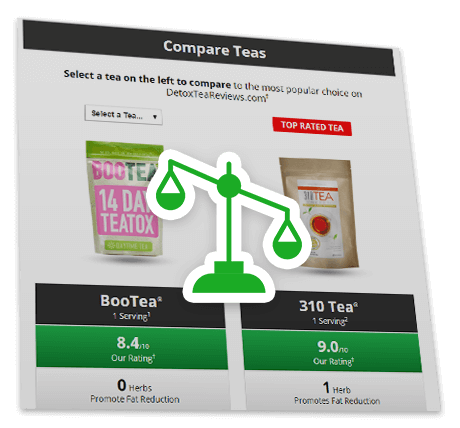 Before you decide, compare this tea to other brands on our site to see how it measures up. 1Nutritional and Price Source: http://www.teamiblends.com/Teami_Skinny. Accessed 8/4/17.